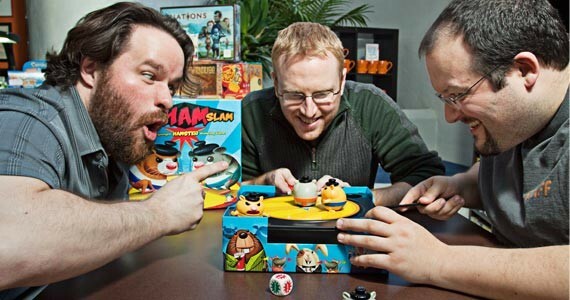 Things get heated with (l-r) Jon-Paul Decosse, Kris Moulton and John Gallant of the Board Room Game Cafe. We hold these truths to be self-evident, not all games are created equal. If you're staying up all night eyes-to-screen with Call of Duty or geared up with a headset and World of Warcraft with 46 of your closest avatars, crushing candies on the commute to work or creating a Dance Dance Revolution—think about turning the tabletops. Video games might be the blockbusters of the geek world commanding almost all industry attention, but nothing quite compares to sitting down with several of your favourite real-life people and finding hours of fun tucked away in one box. Sometimes you have to go back to go forward. 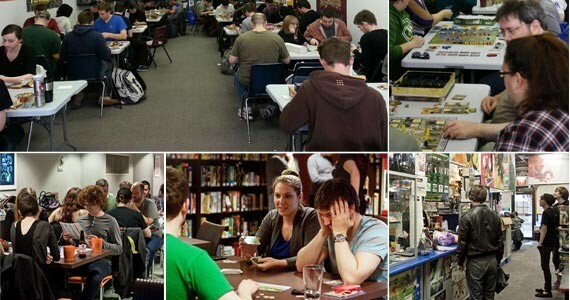 It's the sort of time-worn truth that has outlived all manner of stigma and stereotypes, and with the help of bright star social gaming business models like the Board Room Game Cafe and Games People Play, scores of players are finally able to emerge blinking from basements and hobby store back rooms to fully and publicly embrace the future of gaming. So put away your devices—the nerd revolution will not be televised. 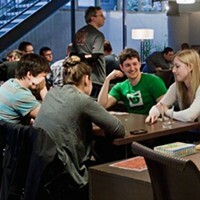 It only takes a few seconds after walking into the Board Room Game Cafe to feel at home. Below ground on Barrington Street, the space boasts giant windows and plenty of bright light, comfy couches or cozy table options—even a giant wooden slab conference table and benches for optimum playing options. It's inviting the way any well-designed cafe would be, complete with great coffee, beer and snacks (including candy bowls). If not for the back corner devoted entirely to shelving hundreds of neatly organized games, you might chalk it up as your average coffee shop. Which is exactly what owner Kris Moulton was going for when he brought Toronto's original Canadian board game cafe model of Snakes & Lattes home to Halifax. It's "not the typical setting where one thinks games happen," says retail manager and game boss John Gallant, who admits you're more likely to imagine a set-up in "somebody's dark basement playing Dungeons & Dragons or a hobby store in the back room or something, crammed in close." Pretty much the opposite of what the Board Room accomplishes. "Cafes are very familiar to people," he says. "They can go 'Oh, there's these board games here, what's this about?' So it's an easier entry point to that culture." With over 400 games to choose from (we're not talking just Trivial Pursuit and Monopoly anymore, Toto), Moulton, Gallant and general manager Jon-Paul Decosse are the friendly behind-the-scenes folks who, like a fine-tuned match-making service, are ready to set you up with the perfect game, whatever that might entail. "There's people who only come here for the tournaments, that we sometimes have," says Gallant. "There's people who come here regularly on a Friday or Saturday night just for a fun time with their friends. There's people who come here because they want to build up their own board game collection and they want to try it before they buy it." From escapement to enthralment, what you get out of a board gaming experience is limited only by the imagination. "Take a game like The Settlers of Catan where you've got negotiation," says Decosse. "Personalities can change the game—like the four of us would play an entirely different game than four different people. Different experiences and just the definition of what 'play' is from person to person can vary so much because of the games that are available." 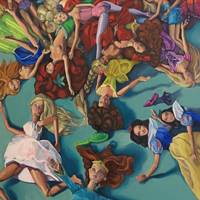 "Depending on who you are and what kind of things that you like, you get a different thing out of the same thing than another player might," adds Moulton. "So there's a lot of different access points for a lot of people to enjoy." The cafe's games are lovingly arranged by type—party and social games, light strategy and heavy strategy—so depending on the day, player and in what way you want to either crush or cooperate with your opponents, the path might lead you to any kind of game, which is half the fun. When you're picking something new, your options for different gaming experiences can feel almost limitless, mostly due to the rise in societal acceptance of gaming itself and the sheer amount of people interested in developing it. "There's a much larger American and Canadian design community than there ever was before," says Moulton. "And a lot of that is in part due to the European invasion of board games. But the industry is growing all the time. Every year now there's something like 1,000 new board games coming out," a big increase from 10 years ago. 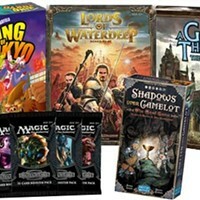 Along with increased inspiration and a reimagining of what board games can be thanks to European titles like Ticket to Ride and Carcassonne, Moulton says the gateways to game design—through desktop publishing, on-demand printing, online distribution and the funds that make it all possible—are more available than ever. 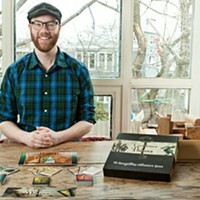 "Kickstarter has really exploded people's access to making board games possible," adds Gallant. "If people like the idea, the game gets made, and that's something that wasn't available probably even five years ago. And so many games come out from there now, it's crazy." Games like those designed by local gamer Sam Fraser (see here for a Q&A), who's part of a group that meets at the Board Room to encourage play-testing and idea growth. "Typically we have prototypes at many different stages," says Moulton. "People probably don't really understand how much development board games go through sometimes. Sometimes it takes years and years and years of playing and retesting and tweaking and that sort of thing before it becomes a game that works, and sometimes they get published and they still don't really work. It doesn't necessarily mean every game that gets published is perfect. It's a process and that's what we're trying to encourage here." Inventing new games entirely for your group of friends might just be the next big thing if television has any influence. Consider New Girl's messy True American (think Candy Land-but-the-floor-is-hot-lava drinking game); It's Always Sunny in Philadephia's timed trivia weirdness they call Chardee MacDennis; How I Met Your Mother's Marshgammon or even The Big Bang Theory's card game Mystic Warlords of Ka'ah, which is actually playable online now. It's no wonder that the mark of true friendship has evolved from matching jewellery and secret handshakes to a group game whose rules are so convoluted it's a mystery how anyone wins. Which is what it's all about, after all—the focused social interaction tabletop gaming provides is unlike anything else you can do with your friends, so most of the time winning is beside the point, it's the playing that matters. "Going out to a bar, or going out to a movie or even going out to dinner—this is just such a different experience. And playing a game is something people do at home but it's not typical that you can go out and do that in a social environment," says Moulton. "Compared to seeing a movie, you don't even really talk to your friends when you're seeing a movie, you talk to them before and after, but in this case you're interacting constantly and you're doing it over a fun—and competitive sometimes—just social sort of experience." It's the social connectivity that pushed Joseph Allen and Greg Pothier to open Games People Play, another social gaming store on Barrington Street, but with more of a focus on trading card games like Pokémon, Yu-Gi-Oh! and Magic: The Gathering. "There was a bunch of us that met at a local game store in Dartmouth," says Allen, "and that game store unfortunately went under. I had a very large extensive collection of playing card games, board games, action figures and collectibles and was sort of like 'Let's open a game store.' It's been a roller coaster ride from there." It's been 16 months since Games People Play opened and its business model and complete devotion to its clientele has propelled it from a small operation to one of Hasbro's highest-rated gaming stores in Nova Scotia with an eye on future expansion. After holding over 600 Hasbro/Wizards of The Coast-sanctioned events in one year (including card tournaments, booster drafts, sealed deck pre-releases and your standard Magic nights) and hosting 520 unique players, Allen is chuffed, to say the least. "It's a really proud thing to take into account—that what you do is recognized and noticed. Like 'OK, we're done' and you sort of reach a point and say 'OK, now what's next?'" Marketer by day, Allen holds down a full-time job doing charity work for the ALS Society and operates Games People Play with a similar set of principles. 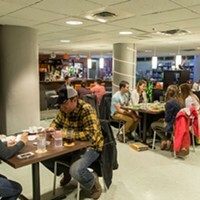 "We're very community minded—we're not here to gouge students or make a huge profit at this. We're out to provide the community a place to come and hang out, and we support them as much as they support us in this aspect, trust me," he says. "The idea is to offer an atmosphere where people will reward us for it." 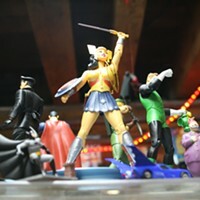 The store makes a point to offer a blend of both board and trading card games for customers, but acknowledges that there will always be a dominant influence, and Allen is all about giving the people what they want After all, in a way, Games People Play has acted as a beacon for connection in his own life. "In some aspects we play a lot of online games for interaction," he says, "a lot of social engagement. Some of us were looking for a resource for it but couldn't find it. Now that gaming is coming out of the woodwork and is kind of more socially accepted it's a place where people can actually go and hang out and be more involved in the community, and they have a voice now. I really do strongly believe that gaming is making a stronger presence now because it is actually filling a need in the market and I think that it's not just filling a need in the market—but filling a need within ourselves. "I want to be around people, I want to be social, but back in the day it was a lot harder to find. Let's be honest here, now it's like I want to play Magic? Cool, there's like seven stores to pick from. Board games? Go play. There's gaming societies at every single university, it's fantastic." 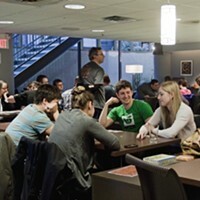 It's a burgeoning industry that has no signs of slowing down anytime soon, which is great because the more you play games and support new businesses like the Board Room Game Cafe, Games People Play and the newly opening PVP Gaming Lounge, the more you contribute to a greater gaming culture in Halifax. One that's already notable in its breadth and sense of community. "I don't want to say it's a growing culture," says Adam Perry, owner of The Last Game Store in Clayton Park and creator of the community newsletter Bi-Geekly News, "although that's true too. Maybe a more organized nerd culture, because we're doing more and more planned events—and I don't just mean we, I mean the city in general—to more and more success. "Lots of people were always playing like Dungeons & Dragons, getting together to play games and all those things, but now we have places to do all those things, and businesses that generally support them and stuff. It just feels like there's some sort of momentum in general in that culture." Now more than ever, Halifax's gaming community is becoming a model for business, and society in general. Where else can you find the sense of camaraderie in what amounts to competing businesses? Where else would one store owner happily drive his customers to a competing location like Joseph Allen of Games People Play does? Where else would an established business owner not only help open but continually support competing stores as Calum Johnston of Strange Adventures has done time and time again? Where else would someone like Adam Perry of The Last Game Store create a free newsletter just to advertise other stores' events? Where would any of this happen but in a tightly knit community like ours? "One of the mistakes I think that everybody seems to make I think," says Perry, "is imagining that everyone is fighting for a pie of people when you should be fighting to make a bigger pie. Because if there's more people reading comics, more people playing video games, then there's more people buying comics, more people buying video games. If you find ways to get along and do stuff together as a group and a community then it just benefits everybody." Your craggy old parents were wrong, gaming isn't a waste of time. Not only is harnessing the power of gamification of everything from corporations and charities to everyday life totally blowing up, but as anyone who has been touched by gaming can attest, it just consistently makes you a happier, more fulfilled person to be around. Which is to say, social gaming is basically ridding our society of assholes. And it's only going to get bigger from here. You're welcome. "One really cool thing that I like to see personally," says Allen, "what I love to see and is a passion of mine—is to see family members bring kids down and just sit there and teach them how to play games and enjoy the interaction. It's phenomenal to see. It's one of those things that tugs at your heart a little bit—because this is the next generation of gamers. This is what's coming up in the world...and they have it so much better than we do. Buggers." We asked five of our favourite local game stores to recommend titles based on the type of player they might be. Our listings of game-related events show there’s always something going on for folks interested in a little fun. Local board game designer Sam Fraser shares how he’s making his tabletop dreams a reality, and why Halifax is the best place to do it.